Restaurants don’t often come back from the dead. Those that do tend to be ones that loom large in the minds of New Yorkers — like Hwa Yuan. 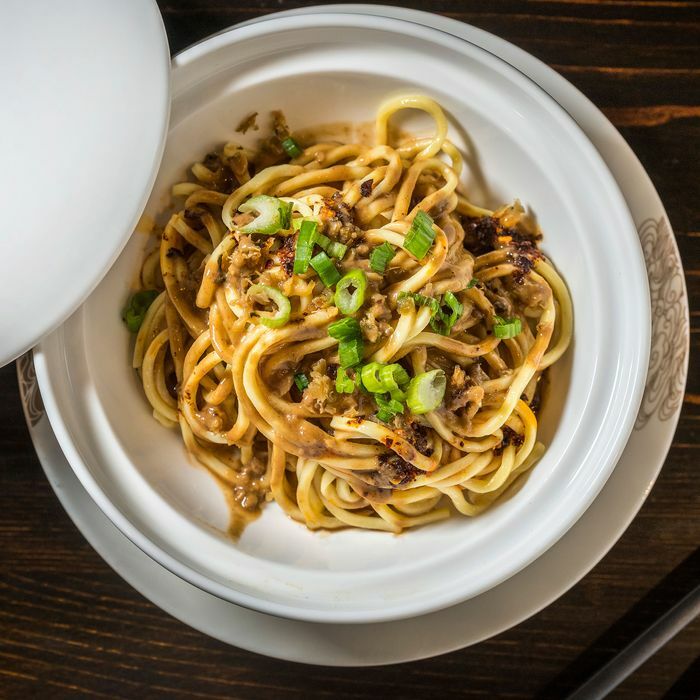 The Chinatown restaurant is where the late chef Shorty Tang turned cold sesame noodles into a New York staple, allowing his son Chen Lieh Tang to open a fleet of related restaurants. More than 30 years after it closed, people still talk about it. 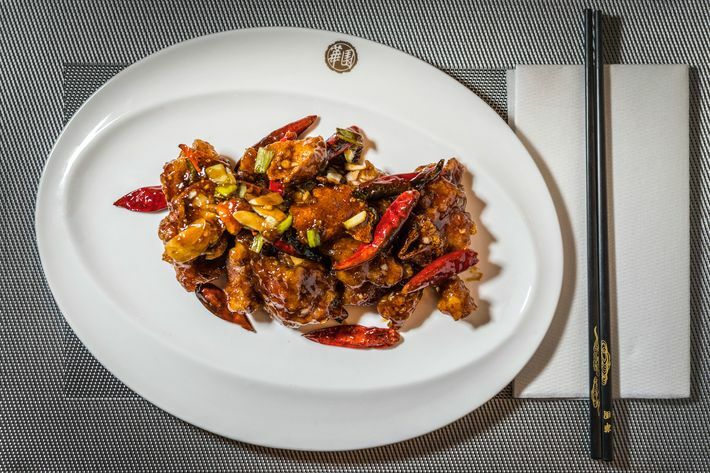 New Yorkers no longer have to just chat about their memories, though, as Hwa Yuan has joined the rarefied field of zombie restaurant comebacks. Earlier this year, Chen Lien and his son James Tang opened Shorty Tang Noodles, a modestly sized noodle shop. 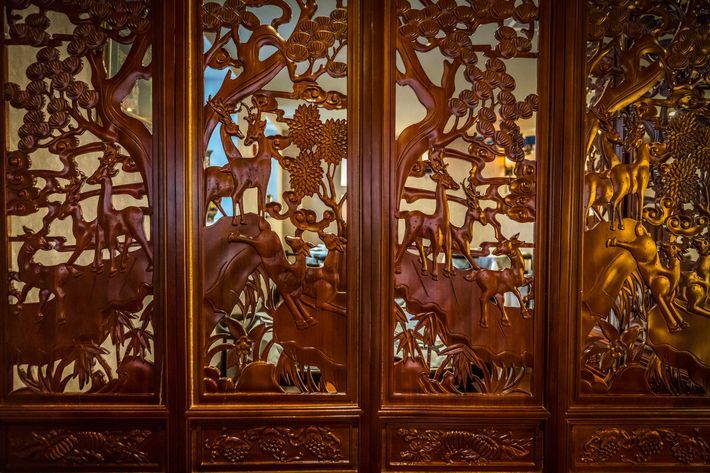 In contrast, Hwa Yuan is palatial by any standard in New York. 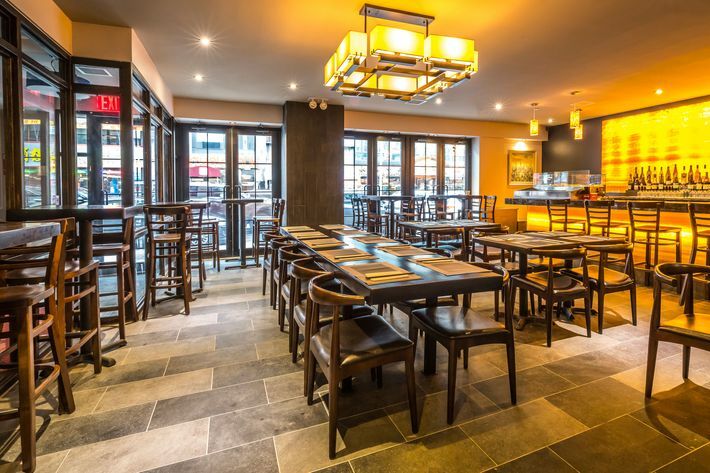 It’s a sprawling three-story space on East Broadway that was the home of the original restaurant, but more recently a Bank of China branch. Chen Lieh & Co. worked on it for two years, and talking with Grub, he says he wanted to create something lasting — a monument to his father’s legacy, but also to Chinatown, and something for future generations, a restaurant that would last another century. He’s decorated it with elaborate fixtures; imported furniture, plates, and more from China; and shipped in the marble bar from Spain and some of the lighting from Italy. It looks like the movie set for a elaborate wedding scene (there are several banquet rooms for parties). 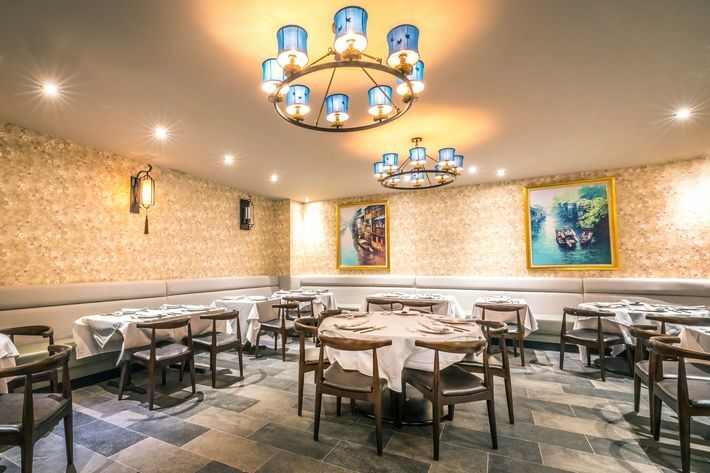 Looking to dazzle guests, Chen Lieh also installed a high-tech Peking-duck oven (also imported) by the front window of the semi-open kitchen. 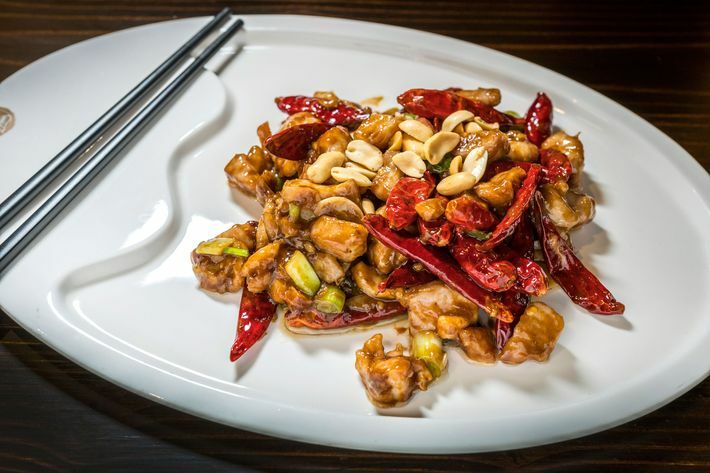 Speaking of the kitchen: The menu leans toward Hwa Yuan and Sichuan standards, like carp in hot bean sauce, and those famous sesame noodles. 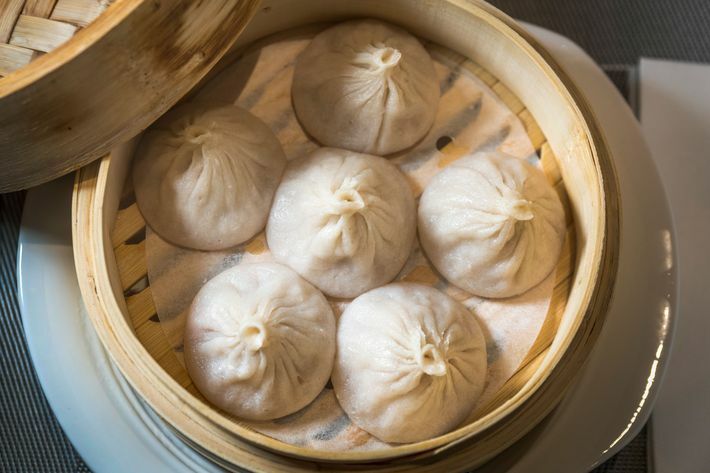 There’s a variety of other Chinese dishes, too, such as Shanghainese soup dumplings and lobster in ginger-scallion sauce, and some not-at-all Chinese ones, like cheesecake for dessert.